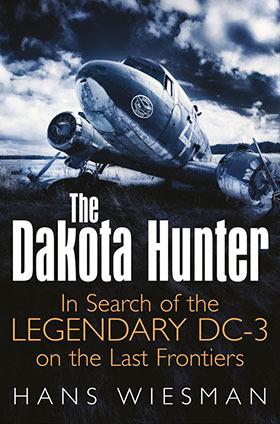 In this DAKOTA HUNTER Blog, you will read about some backgrounds of what is known as the largest Shark attack ever in naval history and the heroic role of a single PBY Catalina that arrived on the horror scene where hundreds of sailors were adrift in the open ocean for more than three days. It all happened in the closing days of the Pacific war when the Heavy Cruiser USS Indianapolis was torpedoed by the Japanese submarine I-58, causing the second largest US naval disaster after the Pearl Harbor attack in December 1941. To make things worse, the mighty battleship sank so fast that no SOS/ distress signal could be sent out or was not picked up, leaving nearly 900 sailors adrift for days in the shark infested waters of the mid-Pacific. Photo above: By mid-July 1945, the heavy cruiser USS Indianapolis, the Flagship of the 5th Fleet, sailed out from the US mainland to Tinian, one of the Marianas Islands (a small group of islands southeast of Japan in the central Pacific Ocean, see map). It was a special mission as the battleship had an ultra-classified and dangerous cargo on board. It was enriched Uranium for the first Atomic Bomb, planned to be dropped on Japan in early August. That bomb under the name “Little Boy” was to be delivered by the now legendary Boeing B-29 Superfortress planned to take off from the Tinian Air Force Base for her flight out to the Japanese main islands. Photo above: The first Atomic bomb named “Little Boy” was not so little. With a weight of over 10.000 lbs and 10 ft long, it was a very complicated affair to get this monstrous machine inside the bomb bay of the B-29 “Enola Gay”. 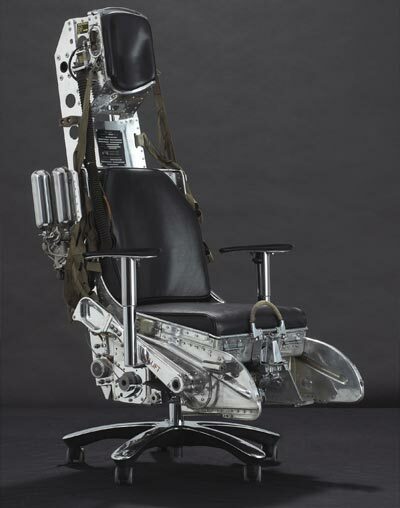 A special lift was constructed that would bring the bomb up from a concrete pit over which the Superfortress had to be positioned for the bomb loading operation. Note the script at the lower end of the photo‘ Top Secret’. On 6 August 1945, the first Atomic Bomb ever to be deployed in history against an enemy was dropped on Hiroshima by the B-29 “Enola Gay”, flown by Captain Paul Tibbets and his crew. The explosion that followed after the dropping must have been the most devastating a man had ever seen, it completely annihilated the big city and made countless casualties. Only a few days later followed a second attack on Nagasaki with the heavier “Fat Man” Atomic bomb. The Atomic assaults virtually heralded the end of the “Empire of the Sun”. Japan capitulated after having seen the total destruction inflicted by the 2 bombs and with their unconditional surrender, the Pacific war was almost surely clipped with at least another six months of bitter fighting over Nippon’s main islands. That planned invasion of Japan was calculated to have cost at least another million casualties. But that operation could be canceled, much to the relief of the US Government, Military men, and the rest of the World, also saving the lives of tens of thousands of American and Allied soldiers. Photo above; The Boeing B-29 Superfortress ” Enola Gay”, waiting at Tinian Islands to accomplish its mission to drop the first Atomic Bomb in history. The enriched Uranium was ferried from California by the USS Indianapolis, only a couple of days earlier, late June 1945. In a strange twist of fate, the supplying ship of the atomic explosives that indirectly inflicted the Empire’s final doom, that same USS Indianapolis would very soon after its deadly delivery come to grief by only 2 Japanese torpedoes. In a matter of only 12 minutes, the mighty ship was ripped apart by the second torpedo that hit amidships and ignited the ammo depots and fuel tanks. The ship was deadly wounded and capsized almost instantly, dragging some 300 sailors trapped inside into the abyss of the ocean. The battleship was halfway on its intended itinerary from Tinian to the Leyte Gulf in the Philippines. Of the total crew of 1198 sailors, some 900 survivors seemed lucky to have surfaced. They found themselves adrift in the open ocean. But there followed a second carnage: 3 days later, with all survivors left helpless in the water and no rescue operation deployed, only 317 sailors had survived the shipwreck’s catastrophe. What went so terribly wrong that such could happen, hundreds of initial survivors of the Flagship of the Pacific fleet left unattended for almost 4 days on an open ocean? Photo above; Map of the central Pacific, with the Mariana Islands in the lower right corner. 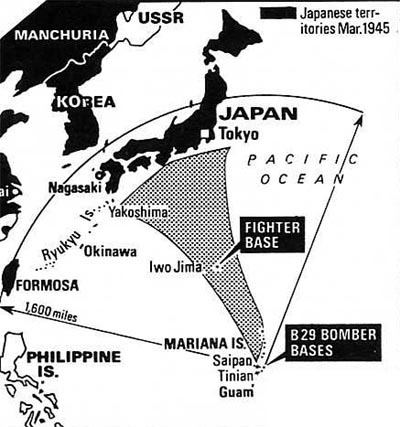 It is very clear from this map that with the combined arrival of the 3500 miles long flight range of the B-29 Superfortress and the US invasion of the Japanese-held islands Saipan, Guam, and Tinian, the Empire of the Sun was doomed to die one day sooner or later. But even with that in mind, the US Military was not in favor of sitting it out or invading the Japanese main islands. The Atomic Bomb gave them a secret weapon that could seriously shorten the war effort and save the lives of tens of thousands of GIs. Was it just very bad luck that the Jap Submarine ran into the USS Indianapolis? Or was the ship’s fate more or less “challenged” by poor precautions? Some serious doubts remained over why such disaster could have happened and when it happened, why was it that no distress message could be transmitted by radio for help. It was a tragic loss, the Navy learned from the mistakes made and implemented changes that improved requirements for procedures of radio silence, positions, ship escorts, and lifesaving equipment. In the investigation and court martial that followed, such flaws came to light. The most important conclusions were about the questions why the ship was unescorted, while that was against strict procedures of that time. 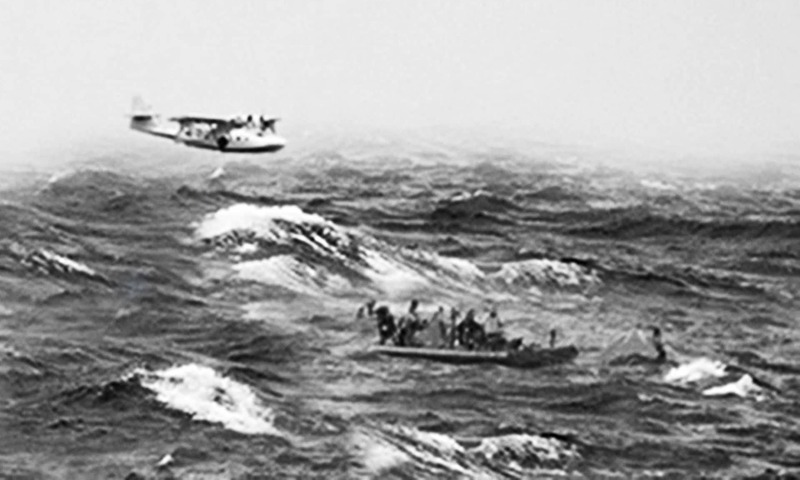 Photo above: The survivors were spotted four days after the shipwreck by the crew of a Lockheed PV-1 Ventura on a routine patrol. They radioed for assistance as they saw the shipwrecked sailors in the water, not even realizing that the pride of the 5th Fleet had gone down a few days earlier. In the total confusion, there was one single PBY Catalina that could fly as a Dumbo rescue plane to the place of horror. Their Captain Lieutenant Adrian Marks flew low and slow over a terrible view of hundreds of men in the water in agony and distress and many being attacked by masses of sharks. Lieutenant Adrian Marks took a very courageous decision and against all orders landed the PBY on the open ocean. He set his Catalina down amid 12-foot swells. While carefully taxiing the Cat, the crew started picking up the wounded and stragglers from the shark infested water. They surely were at the end of their forces and the effort to get them inside the aircraft via the small side hatch or the higher positioned waist blisters must have been immense for both the crew and the exhausted sailors. This rescue operation carried on for the rest of the day and only after midnight the destroyer USS Cecil J. Doyle arrived on the scene, followed by other ships, all helping to pull the final survivors out of the water. Estimates of the number who died from shark attacks range from a few dozen to almost 150. Whatever the score of the shark’s frenzy, the ordeal of the Indianapolis survivors remains one of the worst maritime disasters in U.S. naval history. Photo above: Drowned sailors in the waters of the Pacific, fighting against sunburn, dehydration, while encircled by sharks. The predators came to the scene from miles around. A frenzy followed for the ever hungry sharks, attracted by the countless dead bodies and later they started attacking the survivors of which many were in the water. “Some of the men would pound the water, kick and yell when the sharks attacked. Most decided that sticking together in a group was their best defense. But with each attack, the clouds of blood in the water, the screaming, the splashing, more sharks would come”. The PBY Catalina landed like an Ark sent by God but took some damage due to the high swell that threw up the Cat, bouncing over the waves. 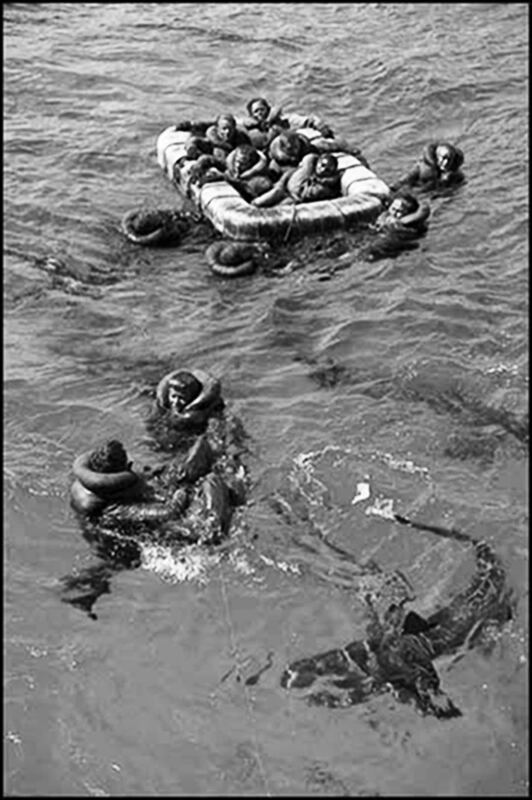 Marks was able to pull a total of 56 drowned sailors out of the water and later shut off the engines and put additional survivors on the bobbing wings, tying the last of the 56 men down with parachute lines. But with the cramped fuselage interior in mind, the majority of the rescued men were to be located on top of the main wing. With a wingspan of over 30 m./ 100 ft, this is not a small area and can house easily 40 people in quiet conditions. But wobbling on an ocean swell, with people that had spent 4 days in terror, things are way different. With all the stress that surrounded this rescue operation, with chaotic scenes of people screaming for help and trying to escape the shark’s attacks, this must have been a nightmare to get the people out from the water and from the fuselage interior on that pylon mounted wing. Imagine, access to the main wing is restricted to climbing out via the overhead hatches located above the pilot’s seats. 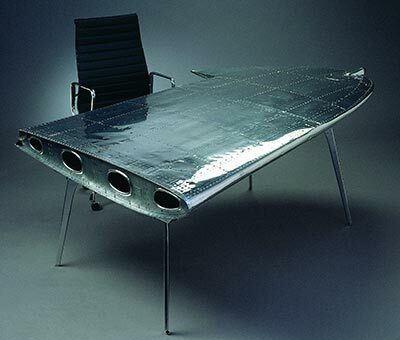 Open this hatch and you can walk over the slippery fuselage top to the wing’s leading edge. There is a step in the front of the pylon that eases the entry to the wing, some 3-4 feet higher up. But there is no hand rail, so not a simple step to make for exhausted and disoriented men standing on top of a rocking ‘boat. Photo above: It was the destroyer USS Cecil J. Doyle, the first of seven rescue ships that were dispatched for the rescue operation. The survivors both in the water and those aboard the Catalina were hauled onto the Doyle, followed by Lieutenant Marks and his crewmen. They were brought to land and finally the wounded and exhausted sailors could be taken to Military hospitals. Surprisingly, after its heroic “Flight of Mercy”, the Catalina Dumbo Rescue boat was sunk on the spot, at the end of the rescue operation. Most probably, the Catalina had suffered fatal damage, not only from the harsh landing on the 12ft high swell but also from hard bumps inflicted by the boats that came along later that night to take over the sailors and Catalina’s crew. They must have abandoned their aircraft with pain in their heart, but the PBY-5A had sustained too much damage, maybe not beyond repair but beyond the capacity to get airborne again from the open ocean waters. The Catalina was doomed and was gunned or scuttled by the Doyle crew the next morning before they sailed back. With her final resting place somewhere deep down in the Pacific ocean, the aircraft did not deserve such tragic end. Lieutenant Marks had the Air Medal pinned on him by Adm. Chester W. Nimitz, the commander in chief of the Pacific Fleet. He died on March 7, 1998, in his hometown of Frankfort, Ind. at the age 81. Photo above; The Catalina that went down in the summer of 2015 in Florida waters. The accident was related to the filming of the disaster of the USS Indianapolis. By sheer coincidence that was exactly 70 years after the first Catalina went down in the Central Pacific in its role as the PBY -5A Dumbo, making a very tricky water landing next to hundreds of survivors in the open ocean. In a bizarre twist of fate, exactly 70 years later in early August 2015, yet another PBY Catalina would come to grief in relation to this horrifying event. On behalf of the Hollywood production for the Movie, titled ” USS Indianapolis, Men of Courage“, the epic Catalina rescue operation was ‘re-enacted’ and filmed in the Florida waters (Starring Nicolas Cage). By accident, the aircraft’s cockpit started to take water and sunk partially, with only the nose down. The precious aircraft was towed into the shallow waters near the beach and laid there for 4 days with its nose submerged (see photo above). In the ensuing rescue operation, they tried to hoist the aircraft out of the water in order to put her on a rescue barge. In this effort, things went catastrophically awry and, unbelievably, the priceless Catalina broke up in pieces. The aircraft was so badly damaged that it was a complete total loss. A shameful loss while only a very low number of flying Catalinas are left in the world. “a Tribute to the Canso/PBY CATALINA”. This is a photo album with over 300 photos, most in color and many never published before. You will be surprised to see this hardcover landscape-format book, a luxury Lounge Table book with photos of the Catalina from both the wartime 1939-1945 and its post-war services in the civil and military roles 1945-1999. Plus my own TransAmerican Catalina Odyssey trips in 1993-1994 that are well covered with most romantic photos of the exotic lagoons, beaches, and lakes where we landed the Cat. The book ends with a wealth of Catalina photos of those that have survived into the New Age, as static museum displays or flying aircraft! Photographers, Operators, and major Aviation Museums from USA, Canada, UK, Aus, NZ, NL, SA, Sweden have contributed with their best photos, including some photos granted by the Smithsonian Institute, Washington, DC. for this book. With a foreword from David Legg, editor of the Catalina News magazine, this unique album is a MUST-HAVE for all aficionados of (vintage) aircraft and those with passionate feelings for the Golden Days of the Flying Boats. PS. If you seriously think you have interesting photos of a Catalina, from your family album or your own collection, old or new, please submit to me! If the photo will be published in my book, your name will be in the caption and, evidently, you will receive a free autographed version of my book. 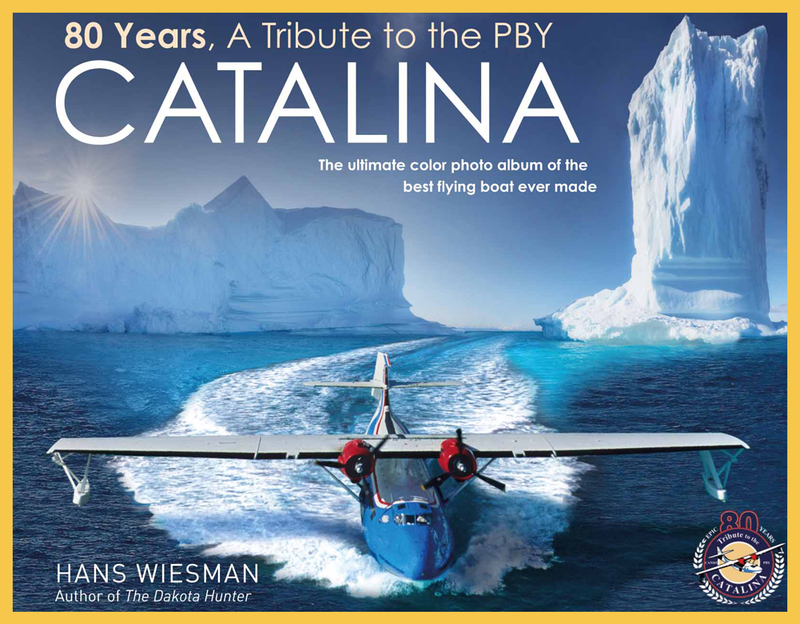 Tribute to the Canso/ PBY Catalina, the new Photo Album book is out!